It’s been a couple of years since I last did a top Android apps post, mostly as my app usage remains pretty static; I only occasionally source new apps to solve a problem or out of curiosity. I’ve been a Nova launcher user for several years and very much appreciate the 3rd party launcher support for Android as a saving grace against the heavily skinned UIs a number of OEMs force upon consumers. As someone who changes devices often, I also benefit massively from the ability to backup and restore layouts across devices very simply. 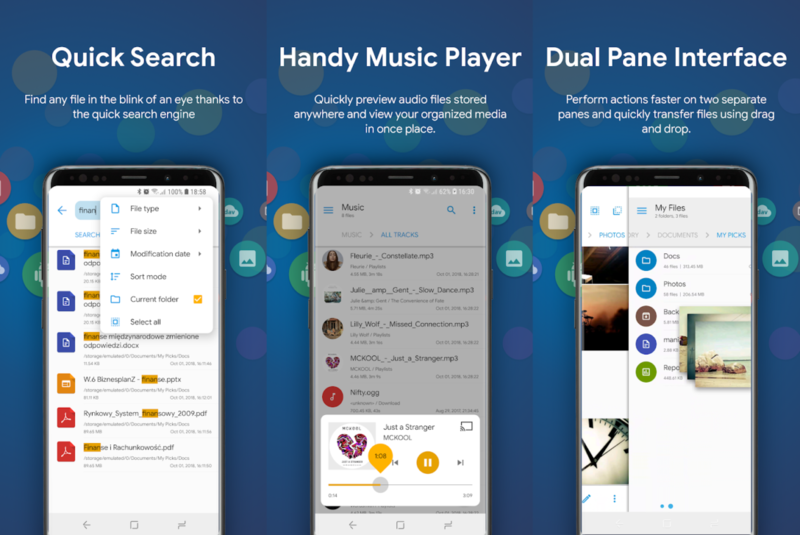 What’s lost in native launchers (Google app integration, advanced multitasking in Pie where supported) I gain in gesture support, extremely granular customisation and more. But I grew a little bored of Nova, so decided to see what else the market had to offer. Action Launcher has been one of those launchers I’ve been aware of as a direct Nova competitor, and as such one of the first I checked out. Granted, I don’t take advantage of some of the advanced customisation on offer (shutters, covers) but AL does provide a pixel-like (vanilla) experience on otherwise skinned OEMs, gestures, a “Quickdrawer” with apps listed alphabetically and an additional widget pane named “Quickpage” which provides access to fixed widget on any homescreen. It isn’t perfect, not supporting the creation of a work folder or offering Android Pie’s split work/personal apps when provisioned as an Android Enterprise device, but hopefully this will come in time. 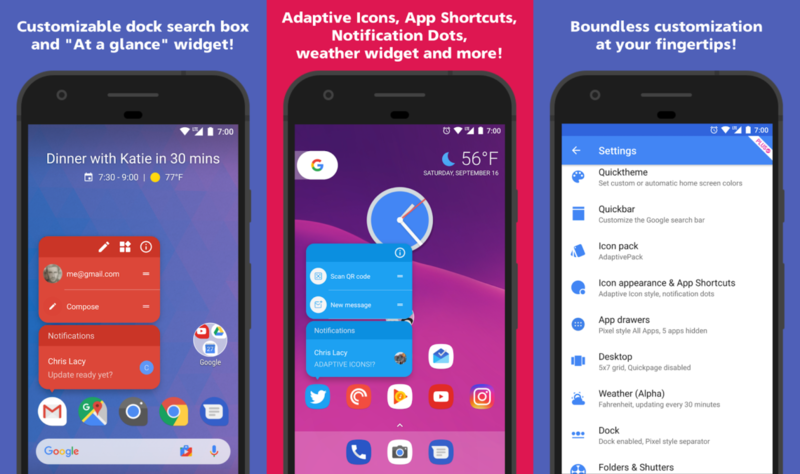 Action Launcher is free to download with a $5 in-app purchase to unlock additional functionality. It’s worth a shot if you’re tired of the system launcher! If you’ve read any of my documentation, LinkedIn posts or even took a gander at the featured image of this post, those delightful, customised Android robots are all the doing of Androidify. It’s a very simple app, that also has a web app version on androidify.com, and allows for advanced cusomisation of outfit, accessories and more. I wish there were more options around exporting (transparency, vector, custom animations, etc) but I’ve managed fine with it so far. Androidify is free on the Play Store. 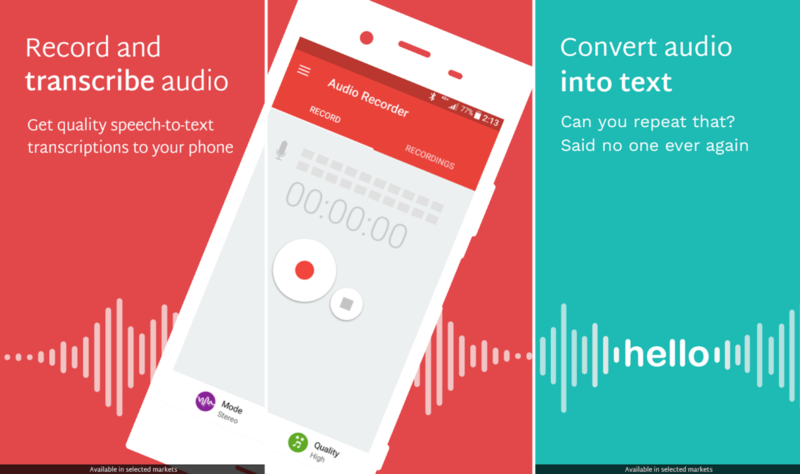 Audio Recorder is a creatively named Sony app that offers free, easy to use audio recording with an optional paid transcription service. The app offers settings for mono/stereo recording and audio quality, providing some flexibility in the resulting recording, but for my use, leaving it on default has been perfectly fine. 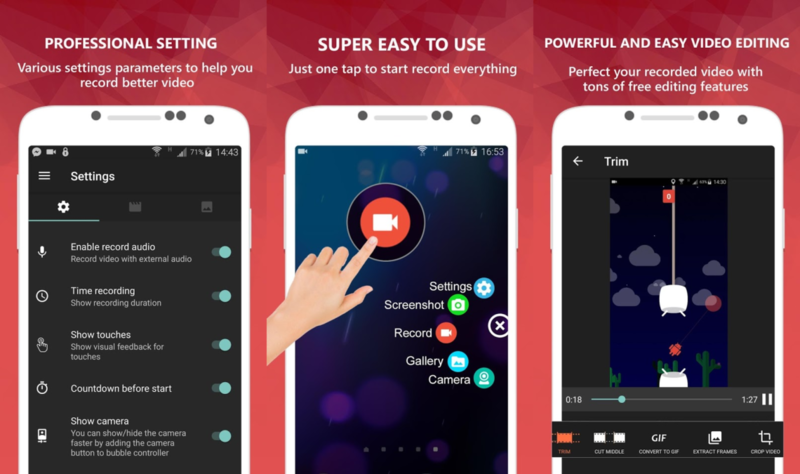 Audio Recorder is free on the Play Store, and is not limited to Sony devices. I’ve done plenty of screen recordings over the year for various reasons (though mostly related to my Android documentation) so have tried a number of screen recording apps. AZ has the benefit of offering GIF conversion in-app, as well as editing tools to ensure the resulting export is perfect without additional tools. The fact it works without root is pretty good also. 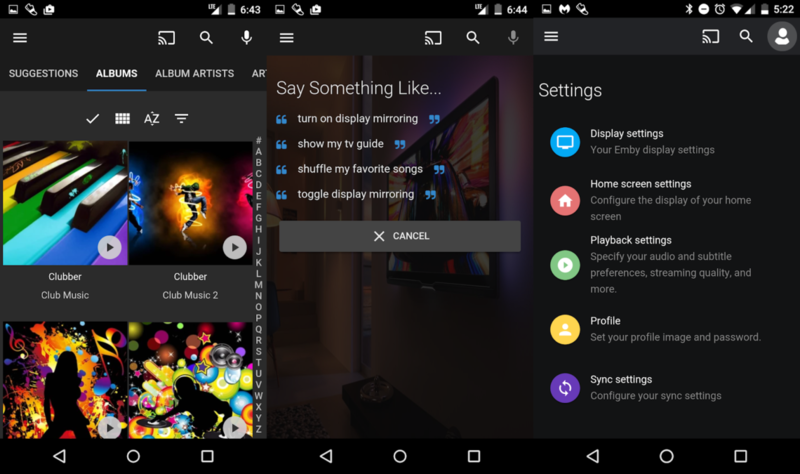 AZ Screen Recorder is free on Google Play with an in-app upgrade to Pro for advanced settings. I’ve been using Emby for a number of years, however with Kodi on my Android TV as the front-end to the Emby server back-end, I haven’t had a need for any other means of access until earlier this year. The Emby app is one of a number of options available, but it’s my favourite due to having an Emby premier license already (if I didn’t, I’d explore much cheaper options). The app is free on Google Play, though frequently provides reminders to upgrade for advanced functionality. Upgrades can either be performed in-app, or via a server upgrade the app is connected to at login. 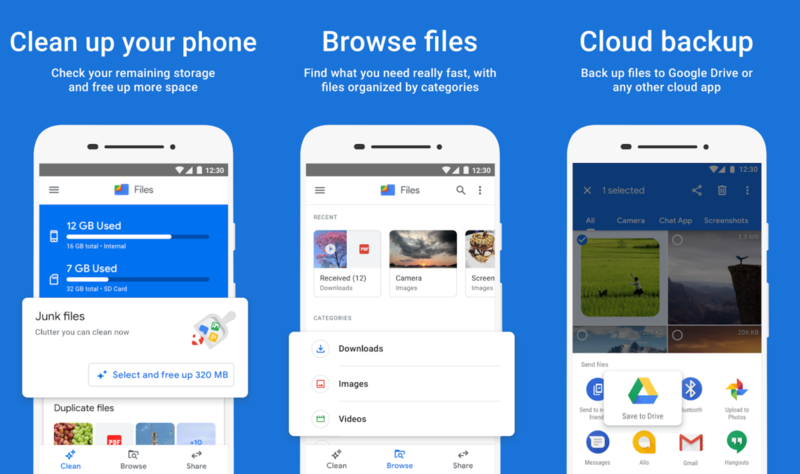 Originally called Files Go, the file manager came to be as part of Google’s Android Go edition suite of applications. As development continued it appears to have flourished into a pretty decent file manager with such features as app sharing, storage management for types of files (memes, junk, etc), cloud service integration and more. It hasn’t become my default file manager as yet (that title remains with Solid Explorer) however I do find the occasional reminders to delete accrued pictures and other things taking up space valuable. Files by Google is free on Google Play. I’ve mentioned JuiceSSH in the past. No matter how many terminal type apps I install, I always come back to this app to handle the task. With such features as encrypted cloud sync between devices, saved snippet support, simple multi-session support, plugin support and more, it’ll likely remain my go-to for a long time to come. 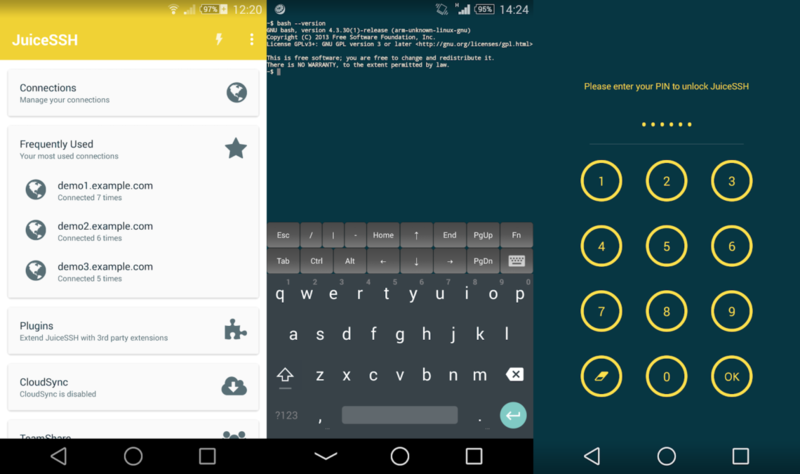 JuiceSSH is free on Google Play, with a small fee to upgrade for additional features (which I recommend!). When I last recommended Solid Explorer it was the classic version, since then the app has been redesigned and relaunched. It’s better than ever. I like Solid Explorer for a number of reasons, but primarily the UX; it’s so easy to use, with the dual-panels, ZIP support, network file share support, multiple file type preview support, lightning fast search and batch tools, I use this app extensively for pushing and pulling files to/from remote shares and on-device storage management almost daily. Add in the material design UI and it’s the perfect file manager for me. I really can’t recommend it enough! It’s available on Play as a 14 day trial, after which will need to be purchased. It’s on sale at the moment, so grab it while you can!